The board comes with full deck inserts which are Voile compatible. The board is fitted with Nitro nose and tail clips and aluminium hooks. Nitro built the Thunder Splitboard to get new backcountry enthusiasts and price-conscious veterans out into new terrain. The shape is optimized for ease of use, both up and down, with Nitro’s LowRider camber and a tapered shape giving you an ideal blend of power and float on the way down, while keeping you gripping the skin track on the ascent. And the upshot is that this value-oriented ripper is completely capable no matter where you’re riding. The LowRider mellow camber maintains a traditional camber profile, with a lower rise between the bindings for a slightly more relaxed ride. It then gets a PowerLite poplar core, which is treated to BiLite laminates for added pop and edge hold. 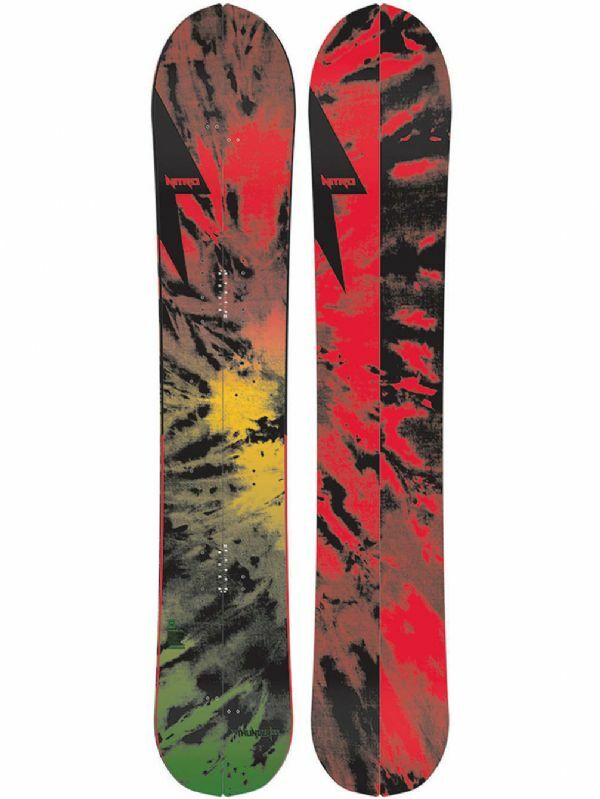 The directional shape features a tapered waist, so the tail is narrower than the tip, and an elongated nose that keeps the Thunder floating over pow. It’s built on Nitro's Mountain flex, which is on the stiffer end of the spectrum. It provides the power and drive you need to slay steeps and sketchy terrain, but it still has enough give to let you throw the board around. Nitro also supplies the aluminum hooks and custom tip clips, which hold the halves of the Thunder tight when you’re shredding, and still make for quick changeovers. For the finishing touch, the Thunder gets the Sintered Speed Formula HD Base. This super-fast base holds a bunch of wax, and it’s built to hold up to impacts better than most, plus it’s easy to repair.